You've just found the perfect place in Key West! Soak in a fantastic ocean view, rarely found at this price, and enjoy the finer touches in this professional designer's home, at one of most popular condo complexes in Key West. You can settle right in to enjoy living in the Southernmost City or assume lucrative rental bookings as much as $6000 mo. with room for immediate growth. 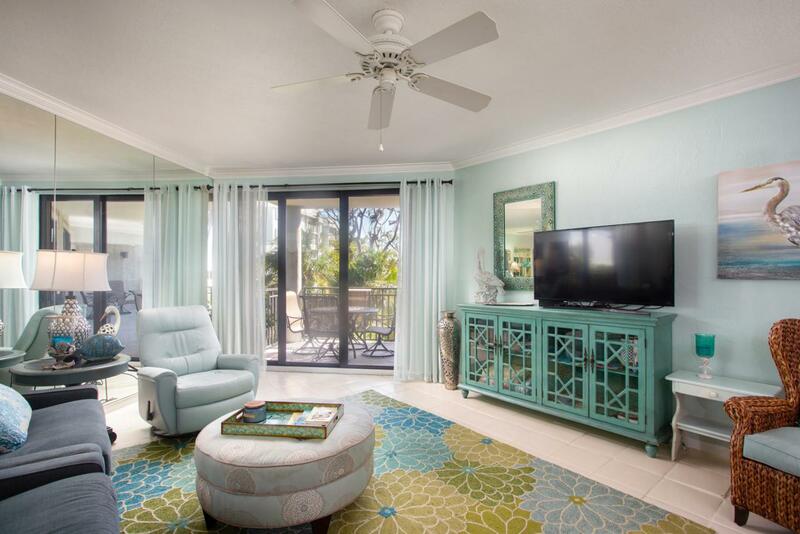 The refreshing color palette and decor are modern tropical inspired to relax with an island vibe, while the private balcony is perfect to host cocktail hour. 1800 Atlantic offers amazing amenities similar to an oceanside resort like a heated Olympic size lap pool, hot tub, saunas, fitness center, 3 tennis courts, grilling areas, garage ...parking, storage and 24 hr. security. $845 mo. condo fees include building insurance and maintenance, operation and management of the community, water, cable TV and pest control. Popular among dog owners, 1800 Atlantic has liberal pet restrictions where owners may have up to 2 dogs totaling 50 lbs. How can you pass this up for only $684,000.